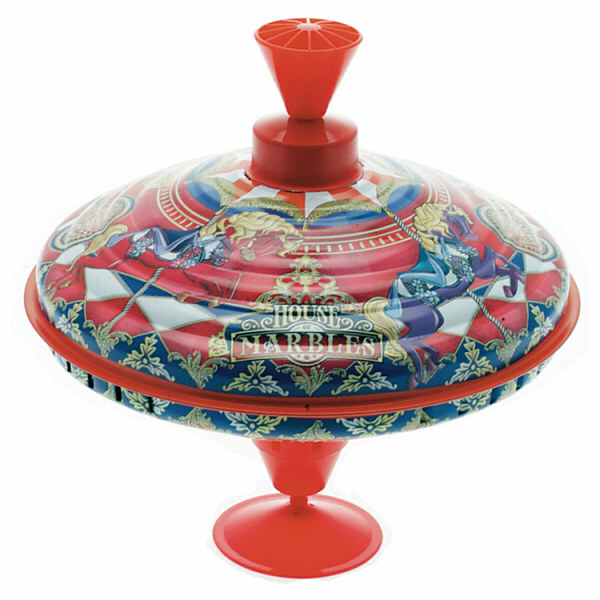 You will love this gorgeously vintage humming top in a carousel design. An old-fashioned tin toy that fascinates children, making a pleasing noise as it spins. Supplied with beautiful, nostalgic packaging. This is a little retro gem! Although this type of top was popular in the 1950s, tops of various types have featured in children's games back into the mists of time. Height 17cm – 6½ inches, Diameter 18cm – 7 inches.